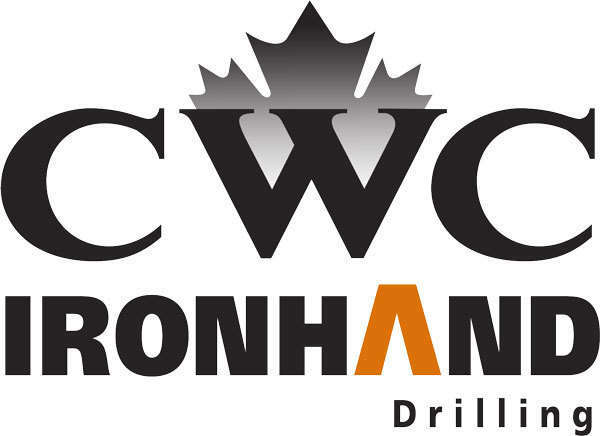 Ironhand Drilling is an ideal example of what can be accomplished when a client that knows exactly what they need, joins forces with a company that has a core understanding of those needs and can bring them to fruition. 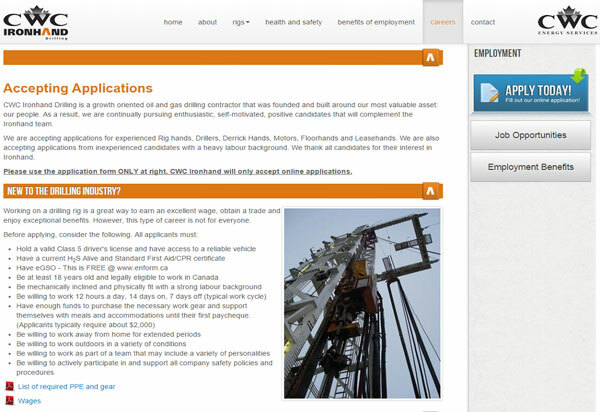 Ironhand Drilling's website is dynamic, informative and intuitively functional. 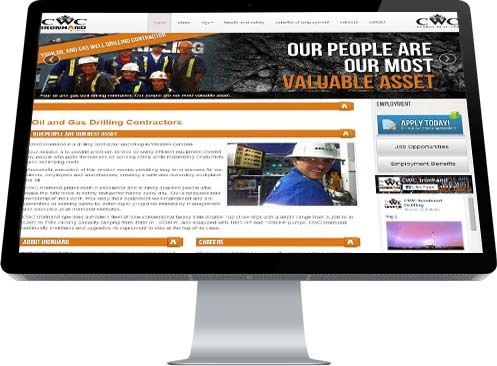 Designed as much to advertise their drilling company as it is to attract new employees, the site highlights all the features and benefits the company has in play and makes for an effective recruitment tool. 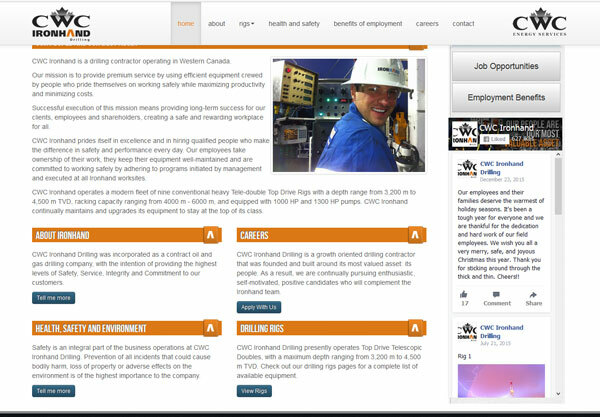 Ironhand has also taken their relationship with Industrial NetMedia farther by adopting INM's proprietary and exclusive Human Resource software known in the industry as HR Director. 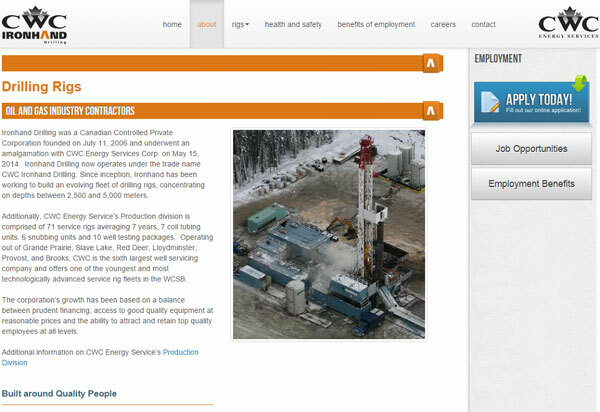 Visit their site to see what a website built for the rigors of Alberta's oil and gas industry should look like. 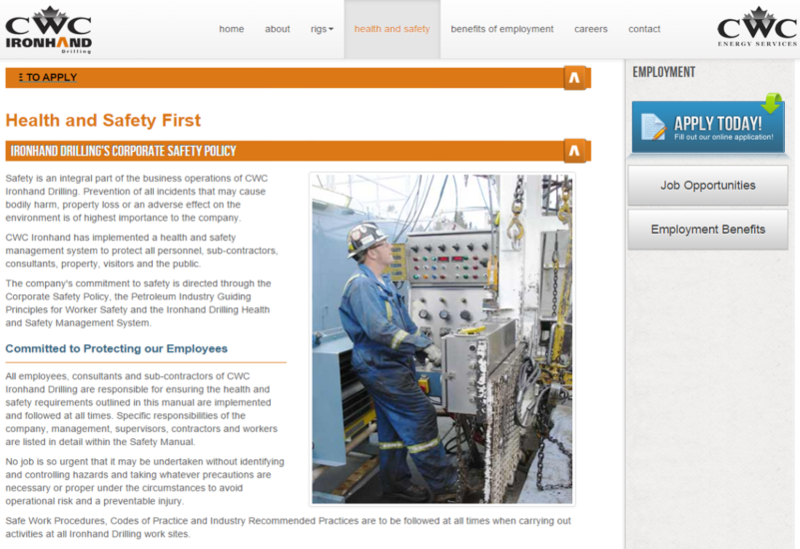 Employee Application integration with website and HRMS for smooth hiring transition.